It's almost August, seriously how did that happen?!? 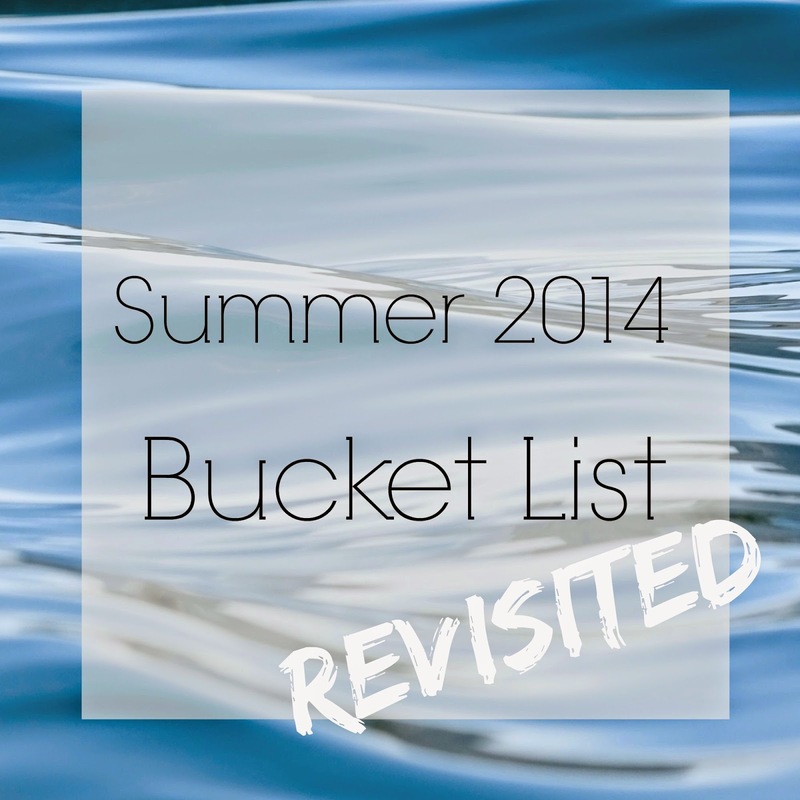 I figured since our months of summer are starting to dwindle (sad, but probably true) I better revisit my Summer Bucket List before it became to late! I feel like we've made a good dent, but we are not done yet. I want to make an effort to fit it all in, well it still feels like summer outside! 1| Run outside often Could be more often! 2| Have a vegetable garden, and use everything that comes from it Just starting to see our harvest, excited to start cooking with it, yesterday's recipe was the first one! 3| Get a nice tan and stock up on some Vitamin D I was doing better the first half of the summer! 4| Eat outside often We could do this more! 5| Have bonfires on our patio, more than once Done! 9| Visit my family's lake house Done, but I'd never mind going back! 10| Read a book Actually, I read a few! 11| Cook at least 3 new recipes Done, and hopefully I try a few more. 12| Finish the bathroom remodel Soooo close! 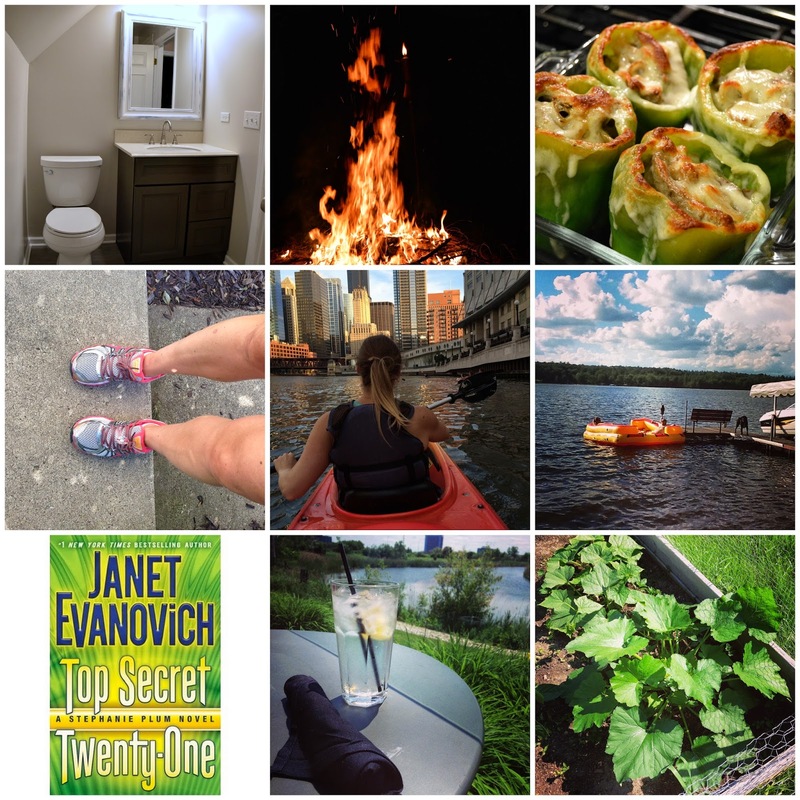 17| Go on a kayaking tour (use the Groupon I've had since last summer!) Lot's of fun! It looks like we are over halfway there, but I'm glad I checked in so we can make time for some of the fun stuff. The summer always goes by way to quickly, it's amazing how it when you were little it used to feel so long, and now it's over in a blink of an eye. We have had great summer weather so far, and hopefully that sticks with us for a great fall, which is my absolutely most favorite season ever! What have you checked off your summer bucket list? It looks like you're making good headway on your bucket list! I probably should revisit mine, too. Good thinking! I knew if I didn't there was no chance of getting through it!